The Herbarium Hamburgense holds approximately 1 Million sheets of dried seed plants which have been collected worldwide during the past 200 years. The herbarium contains some 20,000 sheets of valuable type specimens. A main focus is in tropical regions as well as in northern Germany. The fern collection of the Herbarium Hamburgense belongs to the cryptogamic section and comprises c. 40,000 sheets. 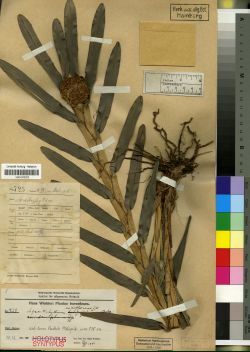 It is rich in types and was used by Prof. R. SADEBECK, former director of the Botanical Museum Hamburg, for his treatment of the ferns for Engler Prantl's "Natürliche Pflanzenfamilien". The moss collection of the Herbarium Hamburgense is very rich in types from all parts of the world. Approximately 2,000 sheets have been digitized in GBIF-project. Recently, the moss herbarium has been rearranged according to the current nomenclature. The core of the HBG lichen collection is the private herbarium C.F.E. Erichsen, teacher in Hamburg, who was a prolific lichenologist and author of the "Flechtenflora von Nordwestdeutschland", a lichen flora of northwestern Germany. Large collection have been gathered by T. FEUERER (appr. 40,000 specimens worldwide) and G. ERNST (esp. northern Germany). The Herbarium Hamburgense holds a very large collection of fungi including some 180,000 sheets and 20,000 species. The core of the fungal collection is the private herbarium of the important mycologist P. MAGNUS that has been acquired in 1918. The Herbarium Hamburgense holds an internationally significant collection of c. 30,000 sheets of macroalgae gathered from all parts of the world. The collection is based on the private algae herbarium of former mayor of Hamburg City, N. BINDER. 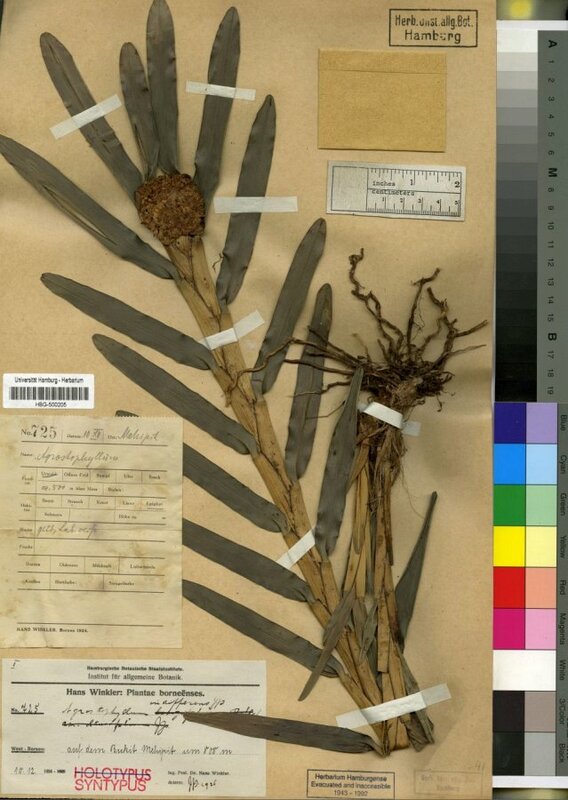 During the middle of the 19th century, the Herbarium Binderianum was used by the renowned botanist O.W. SONDER for scientific studied.